Bonn, 1 April 2019 - The second meeting of the European Goose Management Platform’s International Modelling Consortium successfully took place from 21 to 22 March 2019, in Kalø, Denmark. The Consortium, which is coordinated by the EGMP Data Centre at Aarhus University, is collaborating on the development of goose population models. The first meeting was also held in Kalø in January last year. 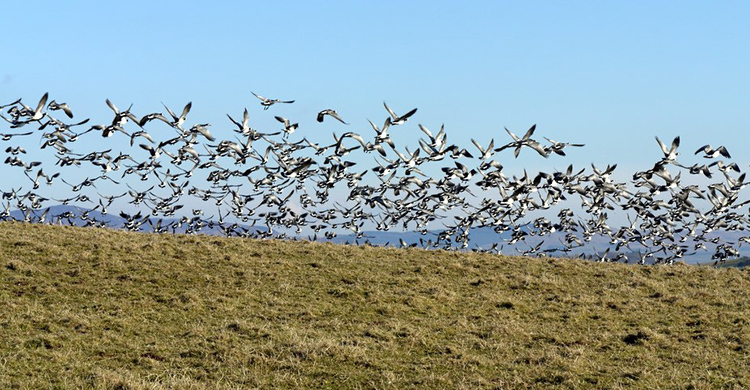 The Modelling Consortium has played a critical role during the development of the International Single Species Management Plans (ISSMPs) for the Barnacle Goose and Greylag Goose (NW/SW European Population), particularly regarding the biological assessment for each ISSMP. Following the adoption of the two ISSMPs at the AEWA Meeting of Parties in Durban, South Africa in December 2018, the Consortium has started to discuss the implementation of the ISSMPs and the development of Adaptive Flyway Management Programmes (AFMPs) for the populations of the two species. This second meeting of the Consortium heard presentations on the development of population models, survival analyses, definition of population management units by international experts for all four EGMP species (Greylag Goose, Barnacle Goose, Pink-footed Goose and Taiga Bean Goose) and considered the relationship between goose abundance and agricultural damage, as well as various innovative model approaches. More information can be found on the EGMP website.